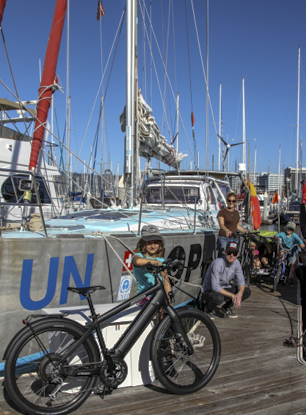 While in San Francisco, we were busy trying to organise a marina to leave the boat during our bicycle trip, as well as trying to find bicycles for the the kids. Tim and Megan give us a lot of advice and helped us a lot, as well as very kindly lending us their VW camper van to act as a support vehicle for the cycling trip. Elsbeth and Karl Heinz helped us so much and gave us a bike for Andri. Thank you so much for everything and giving us a home! 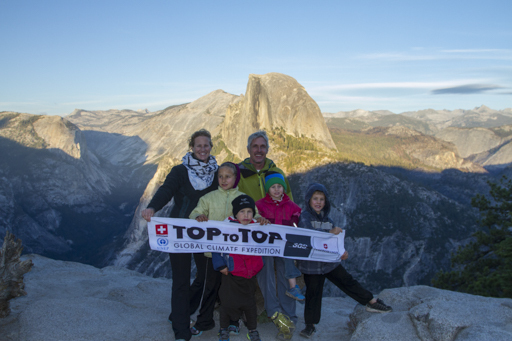 Lots of thanks also to Ushi and her family also, our kids enjoyed very much the company of Andreas and Patrick. 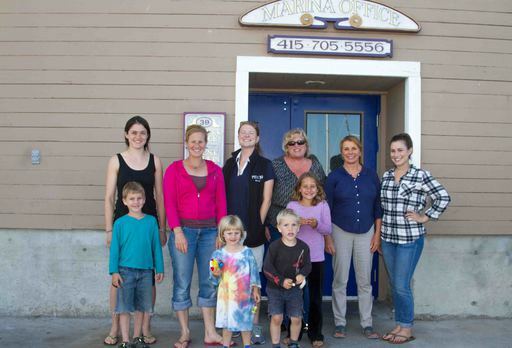 Barbara was helping us so much to find a marina, until finally, we found a place for Pachamama on Pier 39, were we received a warm welcome of the harbourmaster Shirley, Marta and Charlotte. 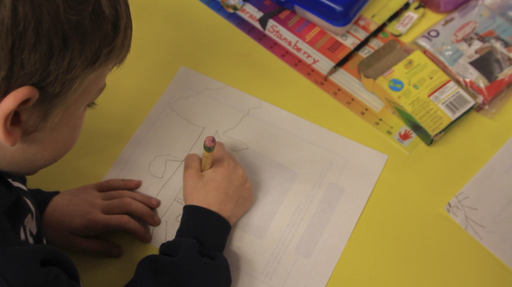 In San Francisco we were also joined by Jenny, a film producer and maker from the UK who joins us to document our journey and Anina who will teach our children for the next 3 months. 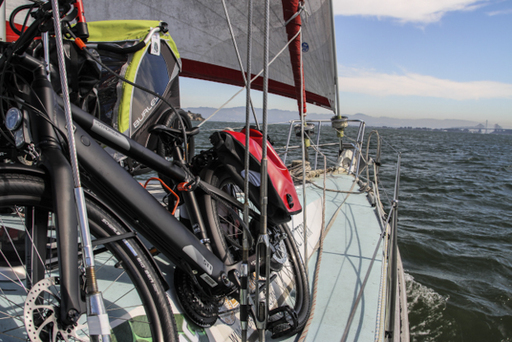 We organised the boat ....and off we cycled on our new Stromer e-bikes with our friends Anne and Kara over the Golden Gate Bridge. Thank you to all helping us getting ready! The cycle will see us go from the highest coldest point on the american continent, Mount Denali, to the lowest hottest point, Death valley. 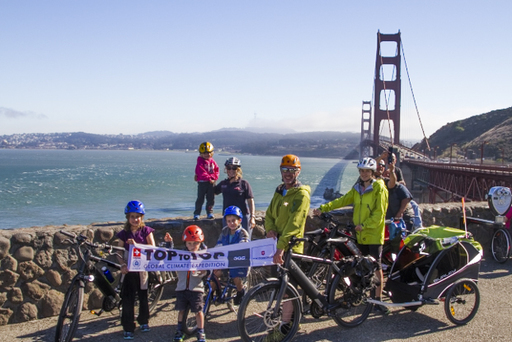 After cycling through the streets of the Oakland region of San Francisco we then faced the climb up to the Anthony Chabot regional park where we wanted to camp for the night. Unfortunately through the streets of Oakland we had lost Jenny in the van, and we were loosing light as well as heat and battery for the bikes very quickly! We were then met a very kind man named Rodrigo who helped us find Jenny, and then showed us a much shorter cycle route to a place we could camp. It was very dark and cold by this point and were were so very thankful for the help, and were reminded again at how generous people can be with their time. We had covered 30km in the first day and were starting to hit suburban San Francisco and make our way out into the country. After a much needed sleep we set off on the bikes, carrying on through the Anthony Chabot regional park and down through the Chabot Valley... it was a nice smooth downhill stretch to start the day! We stopped just outside Pleasantown for lunch and then it was a fairly flat 30km through Pleasantown and Livermore to the base of the Del Valle regional park. After a sharp climb and then another decent, we arrived just as the sun was setting, set up camp, had some delicious spaghetti and steak - the best meat Salina had had this year apparently (!) and got an early night after a tough 2nd day cycling covering around 65km. After a good mornings rest we set off in the afternoon to camp for the night at a dirt bike camp site around 30km down the road. Sunday morning we arose early and set off east towards Yosemite. The roads were flat and thankfully it was quite cool in the morning sun. We ate up the miles on the roads and after 35km stopped for a quick rest outside a shut up farm shop. A few moments passed and the owners of the shop pulled up to check everything was ok, as they were passing on their way home from Church. We spoke with them and explained what we were doing and we were presented with some frozen peaches and and almonds from their garden! What a lovely treat - it was like ice cream!! Thank you Gary and Debbie - they were delicious and kept us going! A further 25km down the road, it was starting to get very hot, we were tired and desperately hoping for a campsite to appear. We then spotted a swiss flag flying on a flagpole alongside the customary US flag at a house in the distance! We pulled up in the hope they may be able to offer us some shade under the trees in their garden, so that we could continue in the cooler afternoon. We got talking and it turned out that the father of the family, Norbert, was from the same town as Dario, and they offered us to stay with them for the night... and best of all they had a pool we could swim and cool down in. It really was like all our christmasses had come at once! Thank you so much to Norbert, Mary and their daughters Jessica and Lilly for being so welcoming and opening up your lovely home to us for the night. We are now sitting down to a lovely Swiss meal cooked for us all by Sabine. We will try and keep the blog a bit more regularly updated during our cycle, and we have also set up a new facebook page, which is where we hope to post a daily update and photo! 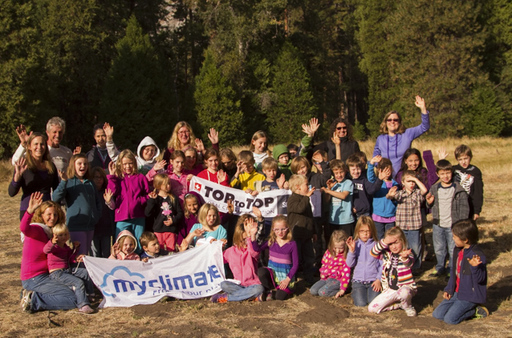 Please visit https://www.facebook.com/TOPtoTOPGlobalClimateExpedition and like our page. We will also be posting more photos from the last few weeks onto dropbox in the coming days. Today ahead of setting off cycling we were shown around a local almond factory where the almonds from Norberts garden, along with other farms, were shelled, peeled and packed into containers to ship. 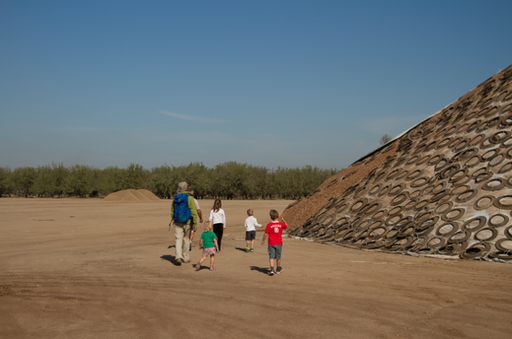 The outer shells are then sold to farms for cattle feed, with the inner shells burned to create electricity. Whilst we were there they was also clearing an acre plot of land to install solar panels, which will provide the factory with electricity to be sufficient for all it's needs. It was great to see a factory making the move to renewable energy in this way. 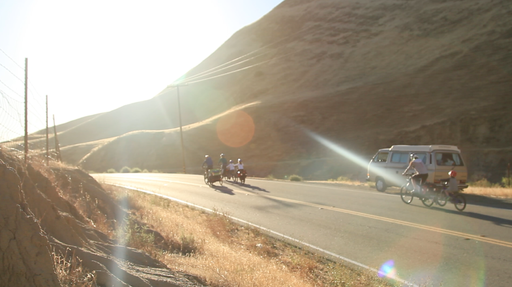 We are now cycling through the major agricultural region of California. Almond trees and grape vines for wine have been lining the roads we have been cycling down for the past two days. Although only on day 5 of the cycle, the landscape has changed so much. 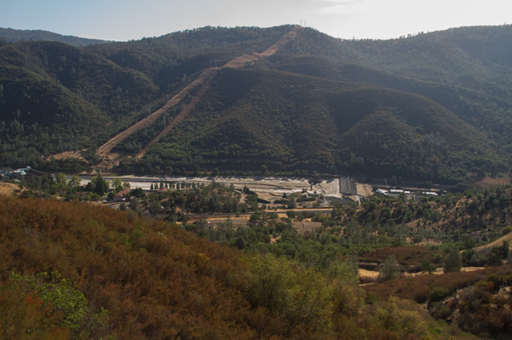 From the busy streets of San Francisco, we passed through the green mountainous suburbs to the very dry hills and now through the drought ridden agricultural region. At 11am we set off on our cycle, and made a tough 30km in the 90 degree midday heat to Oakdale. We are now camped for the night in a kind farmers garden, with the aim to set off early tomorrow to try and make some good distance towards Yosemite. 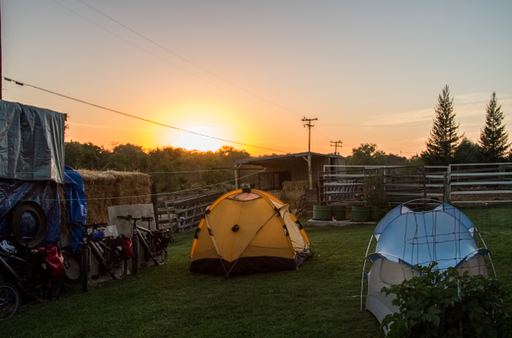 On Tuesday morning we set off early from the DeYoungs farm, headed further east towards Yosemite. After 70km we stopped for lunch just outside Moccasin, taking some shelter from the sun at the reservoir ranger, James Chester's office, where he was also kind enough to let us charge our bike batteries for a short while. Whilst there, we spoke with the rangers about the state of the reservoirs water levels, which supplies the whole bay area with tap water. We learned that they are currently experiencing the driest year since records began, with water reserve levels low. We were also given a copy of the San Francisco hydrological conditions report, which was very interesting reading. Thank you for showing us around and talking with us at length. With clouds forming, and weather threatening to close in on us, we moved on from here, up grizzly road/ Highway 120 towards Priest and Stanislaus National Forest. It had promised to be a deathly climb, but thankfully was not as bad as had been expected! Again the change in landscape was very noticeable. The higher we climbed, the greener and more densely forested the landscape became. At the peak we entered the Stanislaus National Forest, and with night drawing in and the clouds threatening to rain on us at any moment, we started to try and find somewhere to stay. After a few failed attempts at a bakery and then a fire station, we were directed to a campsite where we could stay for the evening. We set up camp and had some dinner and were presented with a thankfully dry and rain free nights sleep. Just what we needed after a 100km day in the saddle. 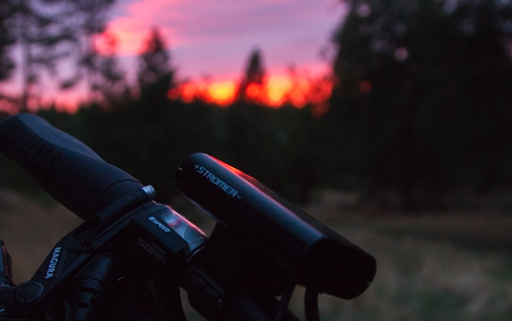 Wednesday brought another early start with the aim of the day to get as far as we could to Yosemite. 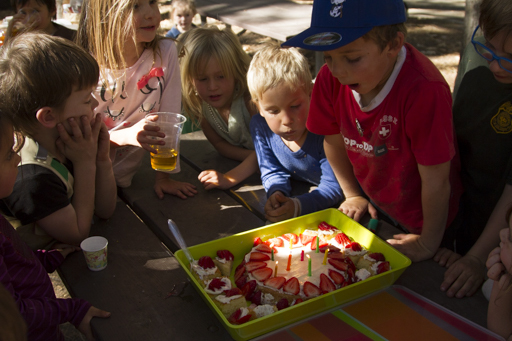 With Dario's birthday the next day, we all wanted to try and celebrate at least some of it within the valley. The morning past fairly event free, the road long, windy and very hilly! We were then greeted with the 'Welcome to Yosemite' sign - which was a great sight to see and spurred us on to try and make it to the valley today. A further 8 mile climb, passing many areas affected by the forest fires of the summer, brought us to the peak and the edge of the valley. 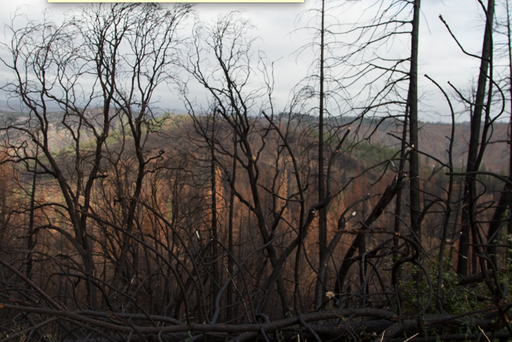 The destruction of the forest fires was quite remarkable, and you could see how, especially with the drought, they can spread so quickly, eating everything in their path. 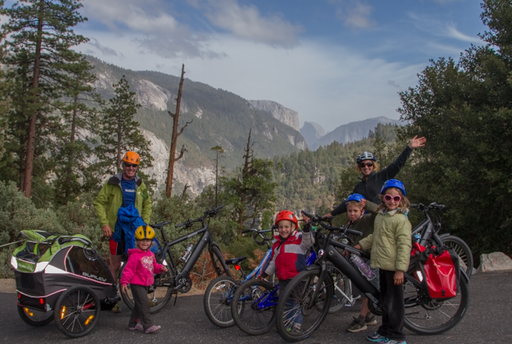 We stopped for a quick lunch break and battery recharge, and were then treated to 2 hours decent down to Yosemite valley, passing half dome and El Capitan along the way, the sights were really quite spectacular. 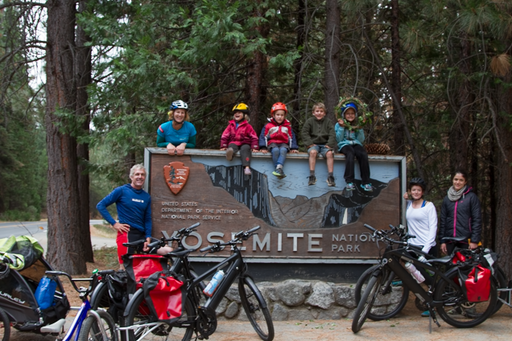 It was then a flat ride to Yosemite Village, where we will camp for the next few days, before doing a talk and presentation in the Yosemite School at the end of the week. We are staying with Brian and Hilary Burt, and their two children Amelia and Carson who are very kindly letting us camp in their garden and have opened up their home to us. Thank you so much for having us to stay and being so welcoming, it's very much appreciated. For more photos visit our dropbox. 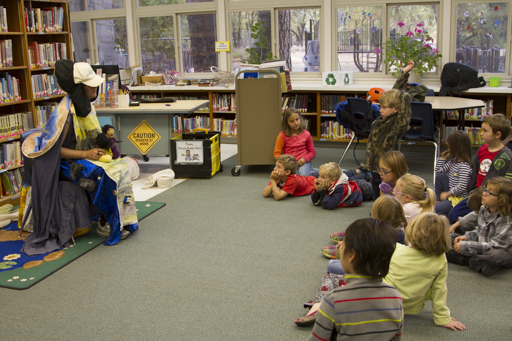 This morning we visited Yosemite National Park Valley School; an elementary school serving all the children of the employees who live and work within the Park/Valley. 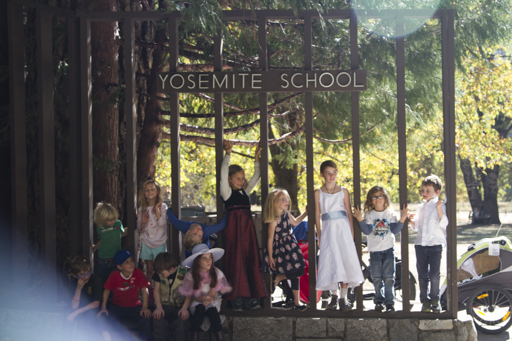 With Half Dome and Yosemite falls - the largest waterfall in America and one of the largest in the world, shadowing the the playground it was hard not to be inspired by nature from the very moment you stepped into the school grounds. We started off with a few songs from Switzerland before we launched into our presentation about the expedition and the TOP to TOP message. 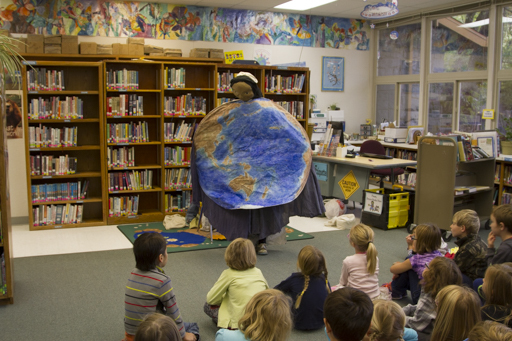 The children had so many questions about the various solutions we showed them, and already knew so much about solar power and the effect global warming is having on the planet. 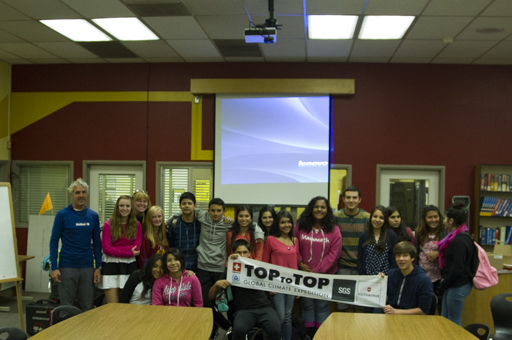 It was great to see inspired minds at such a young age. We then went and cleaned up their school playground, with lots of plastic collected and disposed of correctly. 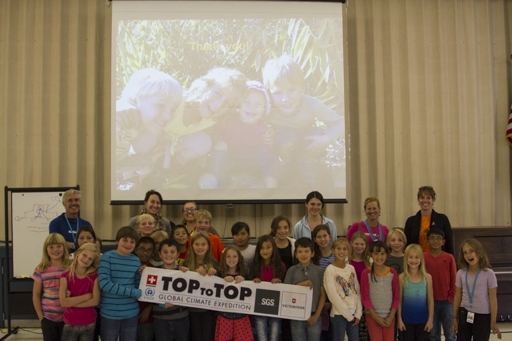 Before leaving, we launched the TOP to TOP international climate solutions drawing contest at their school, with lots of great ideas already coming out of the woodwork, we really look forward to receiving their entries and reading through their solutions over the coming weeks. We are now staying in Yosemite for a few days rest before setting off towards Death Valley, stopping off at more schools along the way. Below is a quick update of where we have got to so far on the cycle. Each letter indicates where we have stopped for a night. We really enjoy receiving climate solutions and this weekend received a great one from Uganda. Thank you so much for having us, we can't wait to take the show to more schools in the surrounding areas over the next couple of weeks. We arrived in the Yosemite National Park on the 15th October and have been lucky enough to stay here for over a week and a half - celebrating both Dario and Andri's birthdays here! 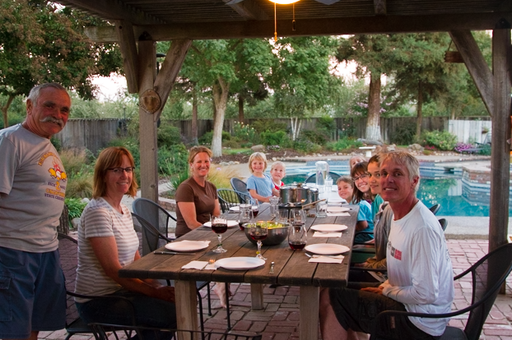 Thank you so much to Hillary, Brian, Carson, Amelia and Bump Burt for welcoming us into your home. You have been so kind to us, and we have enjoyed staying so much, thank you for everything. Thank you also to Ralph and Cheryl for having us for dinner several times and being such good friends to us whilst we have been here. Peg, Scotty, Ryder, the Stansberry family and everyone else we have met whilst in Yosemite, thank you so much for your friendship, kindness, help and advice. You have all made our time here very special. Whilst here and planning the next leg of the cycle to death valley, we have visited the school to do talks and presentations twice, as well as performing a clean-up, hiking, climbing and bouldering and enjoying the beauty of the national park. 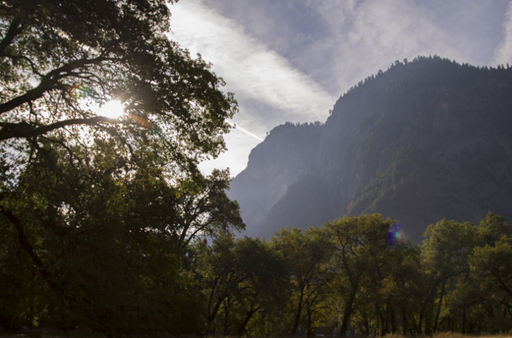 Yosemite is a US National Park and was designated a World Heritage site in 1984. The park covers over 3,000 sq.km, attracting over 3.7 million visitors each year.Yosemite is famous for it's granite cliffs, waterfalls and Giant Sequoia tress. The granite cliffs and Yosemite valley were shaped by glaciers around 1 million years ago during the early glacial episode - it is believed that the ice thickness reached around 4,000 ft in thickness at times!!! Whilst we were in the park the National Park Service Climate change response released a blog on the Lyell Glacier surveys which have been carried out over the years. 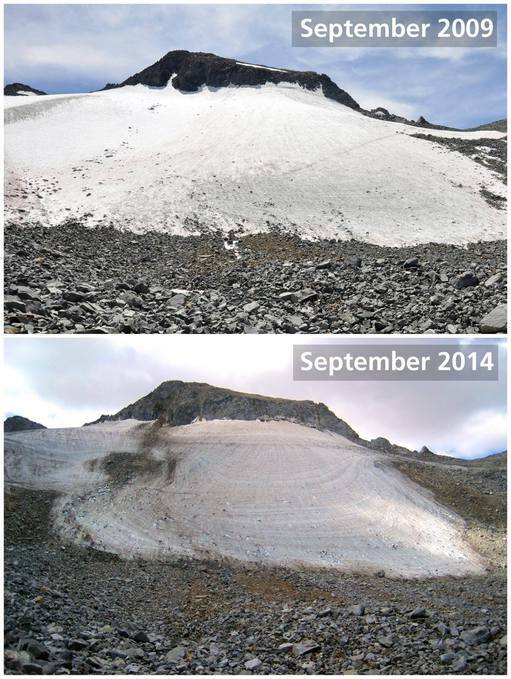 Photos taken reveal the drastic reduction in size of Yosemite's remaining glacier. Below are images of the glacier taken from the blog. Note the newly exposed bedrock on the east (left) side; it's estimated the glacier may now be only 15-20 feet thick. Currently the glacier is losing on average about three feet of thickness each year - a very real and visual effect of climate change in the Yosemite National Park. See more photos and learn more about the Lyell Glacier surveys on the Yosemite Ranger Notes blog:http://www.nps.gov/yose/blogs/Lyell-Glacier.htm. Yosemite has very much been the halfway marker on our cycle to death valley. 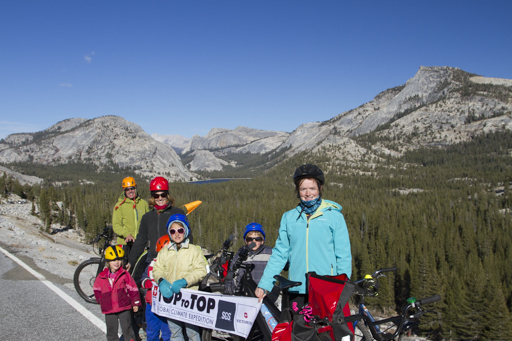 The next couple of weeks will see us cycle over the Tioga Pass heading east out of Yosemite. 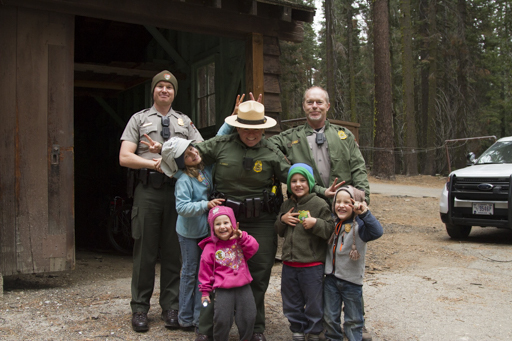 We started making some headway today and were given a very kind and warm send-off by some of the park rangers here. 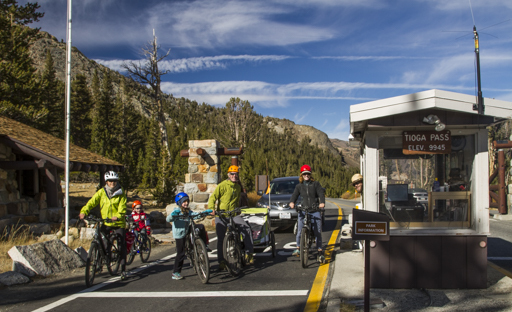 The Tioga Pass has an elevation of around 10,000ft so it is a race against the snow to make it over before it get's too cold. 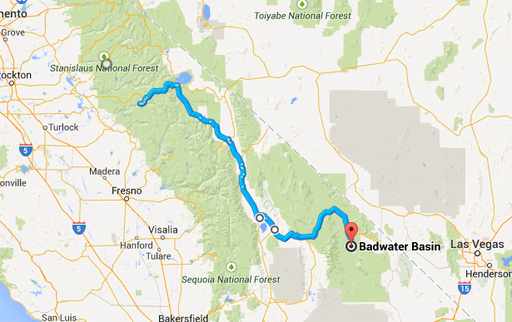 We will then head south, through Bishop and along the western edge of the Death Valley National Park before heading in and on to Badwater Basin - the lowest point on the american continent. 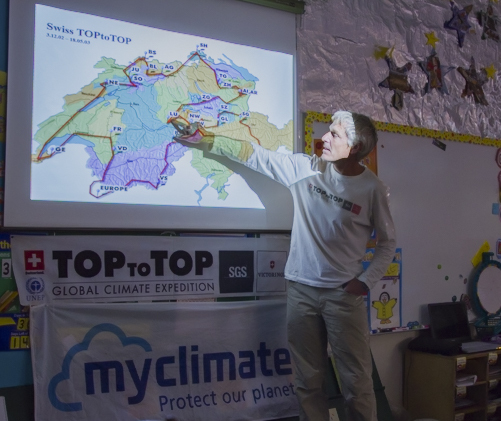 With many schools along our route, we are hoping to stop is as many as possible to give talks and presentations to school children. For more photos visit dropbox! 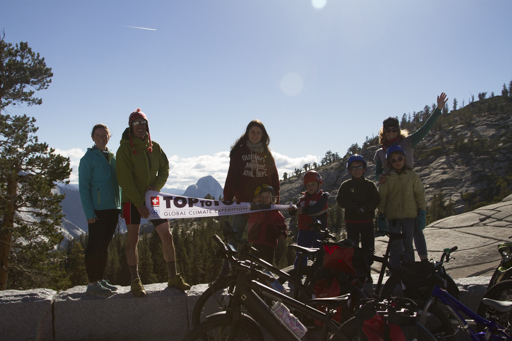 Today we set out over the picturesque Tioga Pass. Despite many of us being under the weather, we were able to make good headway, cycling 70km eastwards; covering over half the pass in one day. We have now stopped for the evening at Tuolumne Meadows and will hopefully make it out the other side and down towards Mammoth Lakes tomorrow. It has been a day of beautiful scenery and already we can see the climate and landscape changing with the altitude and the distance we are covering. We passed the Olmstead Outlook where we caught what will most likely be our last sight of half dome in the distance. 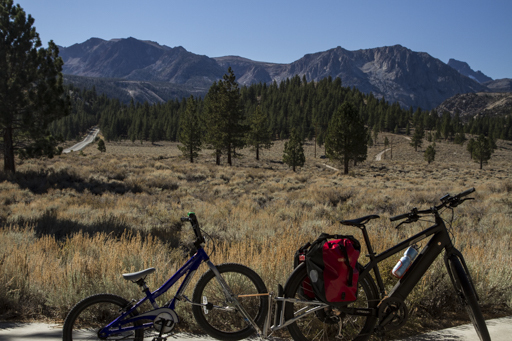 On Monday we made it over the Tioga Pass road and into Lee Vining. 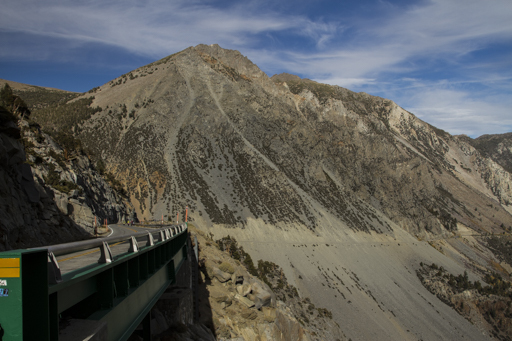 The Tioga Pass was constructed in 1883 and 1910 and at 9945 feet is the highest car pass in California, and higher than any in Europe. The original wagon pass was brought by the director of the national park service in 1915, which he then donated to the Yosemite National Park. 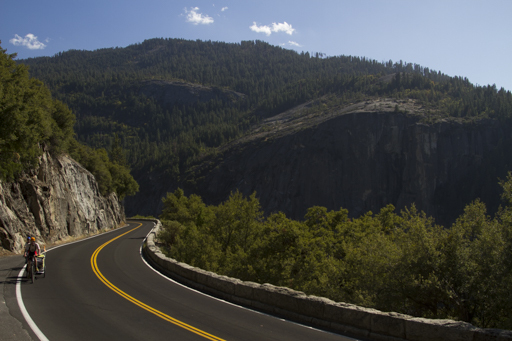 It is now celebrated as one of the most scenic mountain roads in the USA and is commemorated as a civil engineering masterpiece. 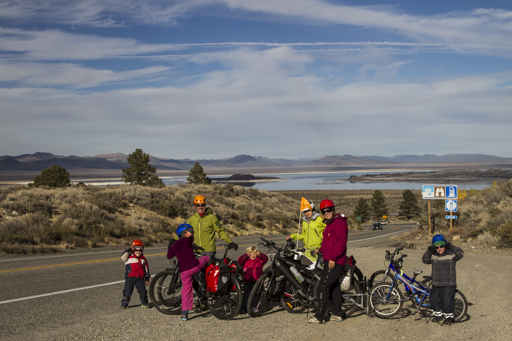 The scenery really was spectacular and as we turned the final bend Mono Lake came into view. The water a deep blue with salt lakes a stark white in contrast. The water level, as expected, was low, but there was still water in the lake, which we would later learn is due to an amazing fight for the lakes survival by the Mono Lake committee. Having travelled 60km we found a small fishing camp to pitch our tents, right next to one of the streams feeding Mono Lake. We ate quickly and were all in bed by 7.30, due to the temperature dropping sharply as soon as the sun set. We rose at 7.30 the next morning and were greeted to ice on the outside of our tents and our saddles encrusted with a thin film of ice also. A very cold night indeed. 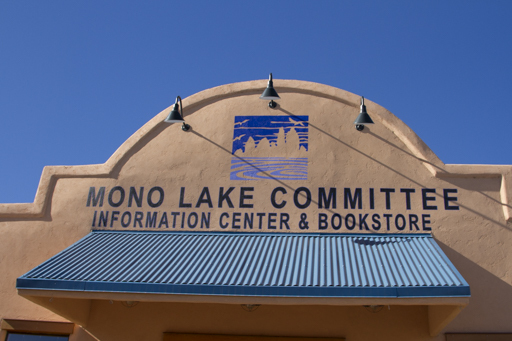 We set out soon after and headed to the Mono Lake Committee Information Centre and Bookstore. It was here that we learned more about the plight of Mono Lake and the inspiring lengths the committee have gone to, to preserve the lake and the habitat for so many of the animals which live there. In 1941 the LA department of Water and Power (DWP) began excessive water diversions from Mono Basin Streams. 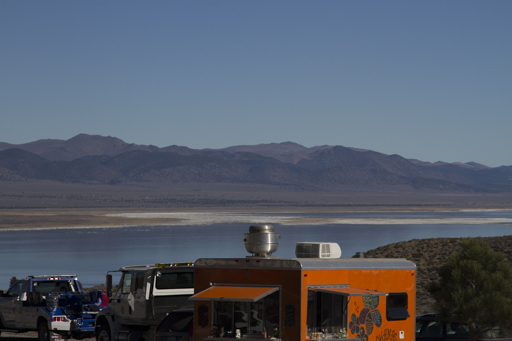 During this Mono Lake dropped 45 feet, lost half it's volume and doubled in salinity. 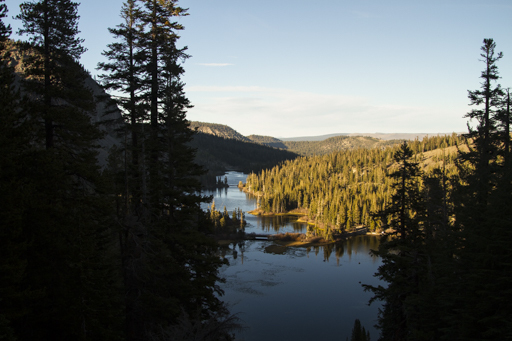 The Mono Lake Committee was founded in 1978 in response to the treat of inevitable collapse of the mono basin ecosystem. In 1994, after over a decade of litigation, the California Water Resources Control Board ordered DWP to allow mono Lake to rise to a healthy level of 6392 ft above sea level - twenty feet above Mono Lakes historic low. DWP has reduced its Mono Basic water exports by over 80%, and Mono Lake is now on the rise! 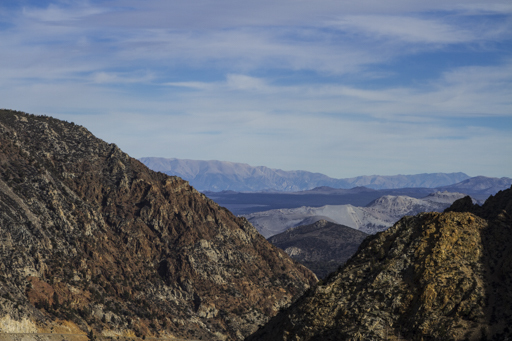 Over the last 15 years, with the help from the Mono Lake Committee, LA has become one of the most water conscious cities in the united states, conserving more then enough water to share with Mono lake. Today, the committee continue to work to restore and protect Mono lake and educate new generations on the importance of this area. From Mono Lake we headed down the 395 highway towards Mammoth, stopping only at June Lakes for fuel and air for the tires. We then took the scenic road down to mammoth lakes where we had meetings with the main Elementary, middle and High Schools ahead of hopefully doing talks and presentations this week. 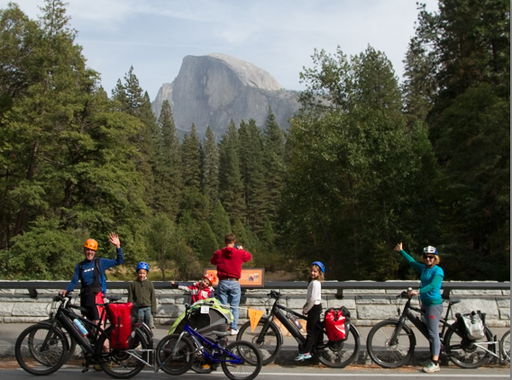 We were also very fortunate to have had spare batteries and parts for the bikes delivered to Mammoth Outdoor Sports, from Stromer, where the shop were very kind enough to fit Salinas bike with a new front brake, as this had unfortunately broken whilst we were in Yosemite. Thank you so much to Chop and Luke for your generosity in helping us fix the bikes. It really is very kind and very much appreciated. Yesterday we were able to visit Mammoth Elementary school to give a talk and presentation to their 4th and 5th grade students - of which there were 200 of them! It was great to be able to speak with such a large captive audience and already we could see that the climate solutions they may enter into the drawing contest were going to be great. 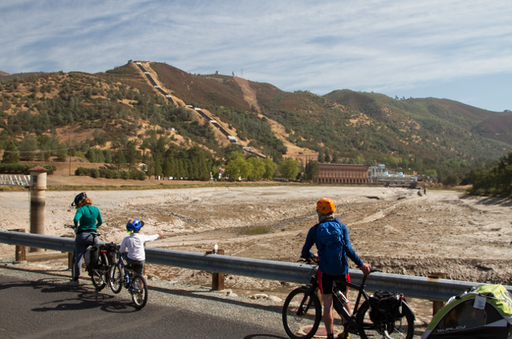 We then were able to talk with Christie Osborne from the Mammoth Tourism board and learn a little more about the area before exploring it later that afternoon. Thank you so much to Christie for all your help and advice. 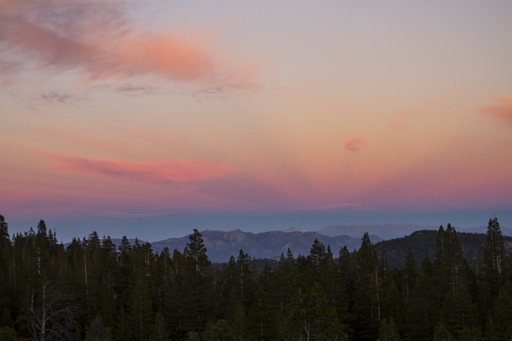 Mammoth is a town sitting at an elevation of 7,880 ft, it is very popular to tourists and sport fanatics. Dubbed the 'Playground of America' it attracts mountain bikers and hikers in the summer, turning into a major ski resort in the winter. Mammoth Lakes town is unique in so far as it is a small town covering only 2.5 sq. miles but is surrounded by 2 million acres of public land. Surrounded by mountains and lakes, and really is a stunning part of the country. We spent a short time a Twin Lakes Waterfall, it was great to see the lake so full and the waterfall flowing freely. 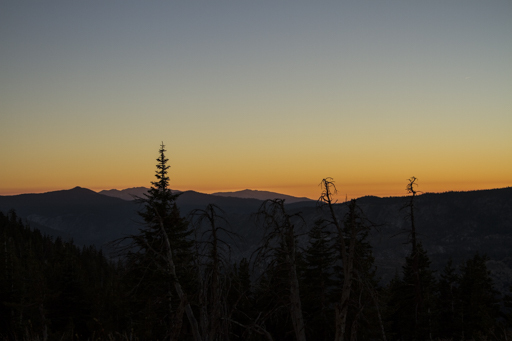 We then travelled to Minaret Vista which Christie had recommended to us as a great spot to catch sunset. The Minaret Vista overlooks the Devils Postpile National Monuments which were formed when basalt lava erupted in the valley around 100,000 years ago, filling the valley near the Postpile to a depth of 400ft. Around 10,000 years ago, glaciers flowed down the valley, the moving ice eroded to mass of lava and quarried away one side of the Postpile, exposing sheer wall columns 60 feet high. It really is a spectacular geological view. This morning we were back at the Mammoth Schools campus, this time giving a talk to 50 of the high school children. Thank you so much for having us and for all your great questions!